You’ve got this ever expanding list in your head of things to do! Some get sorted, whilst others never see the light of day. No Worries, to be fair you’ll know for yourself that there’s always more than a few things that you would like to set in motion. Things that need to get sorted first in order to move forward and achieve your goal and yet you don’t always get round to keeping a record of what you’ve done along the way. 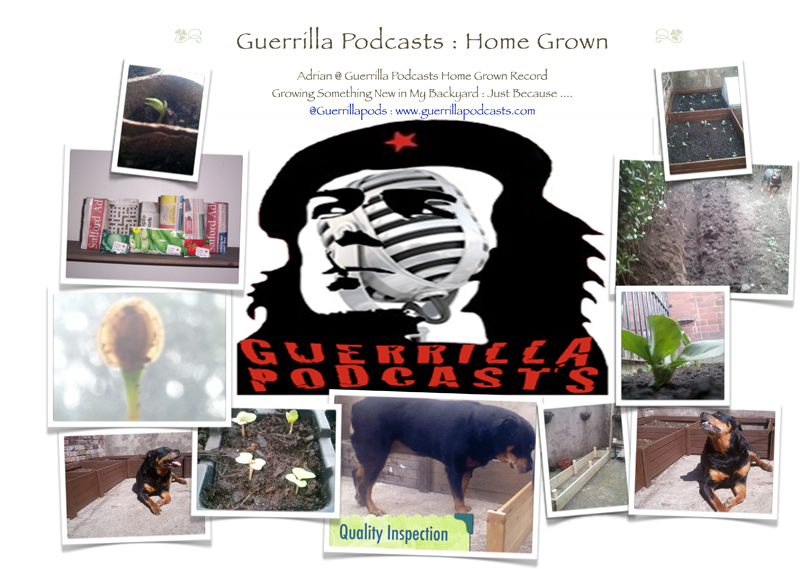 Off course it makes sense to keep a record of Guerrilla Podcasts Home Grown Planting. 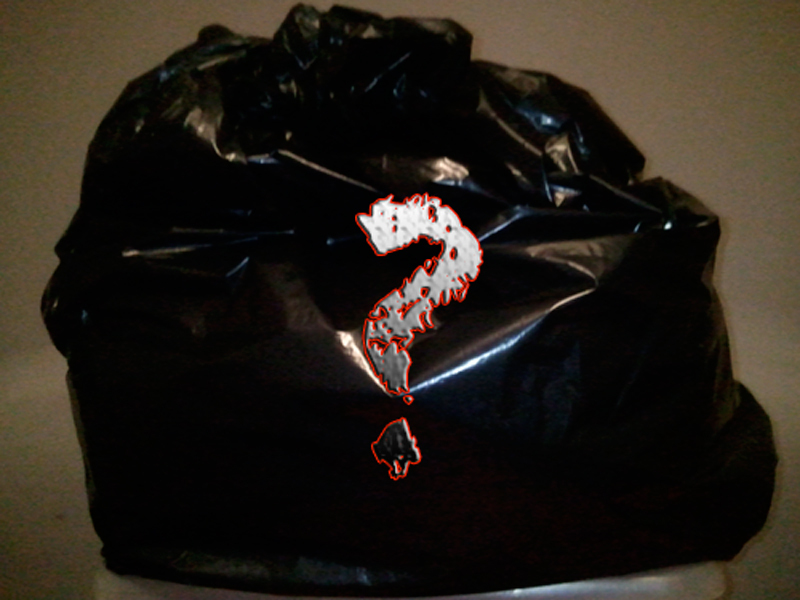 To date that was something that was, as always, a work in progress thing to do. So i thought i’d attempt to sort that out overtime. Once i’ve got my head round the information that i really want to keep and that i feel maybe useful in the future? So i’ve decided to split the planting areas via categories. Numbering the bedding boxes 1-6 etc and naming the various smaller spaces in the front that i will hopefully be regularly using year after year. 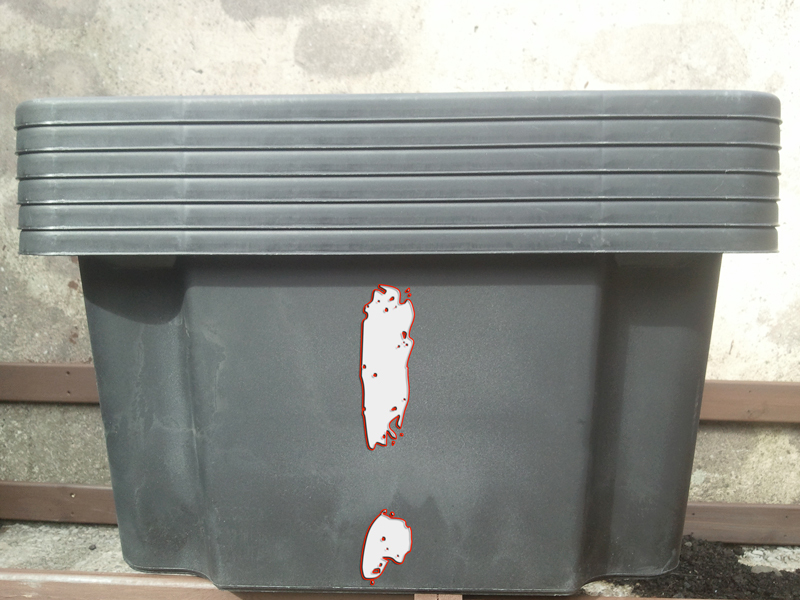 Categories: Bedding Box 1~6, Front Garden, Side Garden, Front Garden Railings, Fruit, Rose Bushes, Miscellaneous. Ok so that’s the planting info sorted. Then i thought maybe i should try and keep a note of the weather? 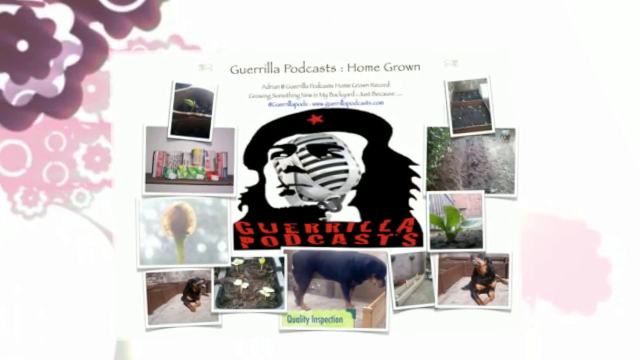 Guerrilla Podcasts Home Grown Backyard Weather so to speak. Obstacle number 1! I have no means at the moment of doing any of that as yet, however a thermometer is on it’s way and there’s always the web to update / check whatever else i may need? Memo To Self: Don’t Worry at the moment. It rains a lot & generally somewhat on tha’ cold side. Don’t forget that you do live in the NorthWest of England. 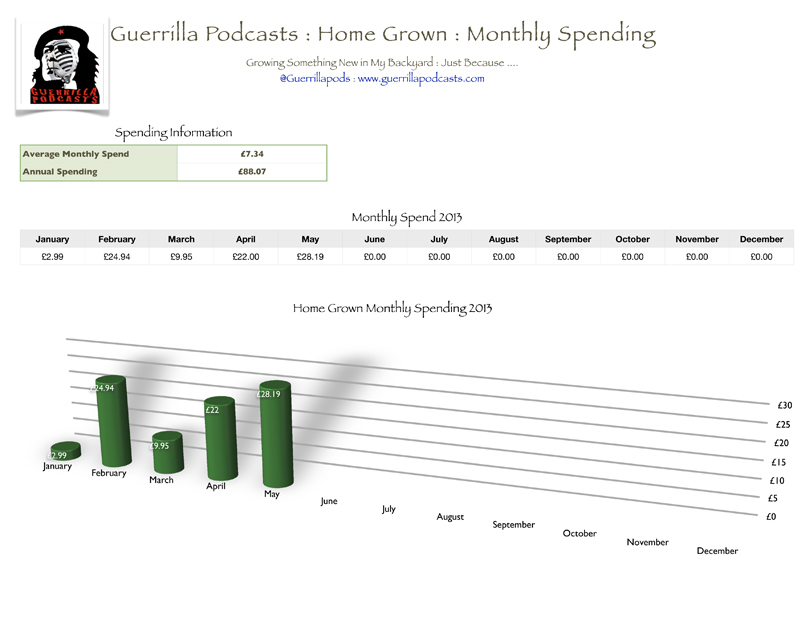 Moving right onto Guerrilla Podcasts Home Grown Monthly Spending! Well there’s no surprise that a shoestring budget comes to mind with yours truly on Guerrilla Podcasts.